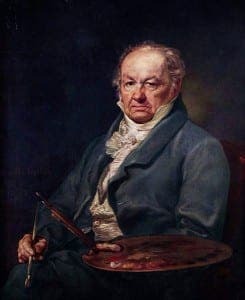 THE mystery illnesses that afflicted Spanish artist Francisco Goya in later life have been traced to Andalucia where academics believe he may have contracted syphilis. The sexually transmitted disease has been fingered by numerous art historians as one of the most likely causes of the succession of tortuous illnesses suffered by one of Spain’s most revered painters, including his total loss of hearing. Headaches, hallucinations, vertigo and walking difficulties were also listed as complaints that suddenly began to afflict the romanticist while he was staying in Sevilla during the winter of 1792. 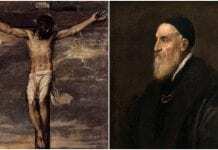 He had been sent there to recuperate for two months from another, as yet thought to be unlinked illness he suffered while working in Madrid as court painter to King Charles IV. 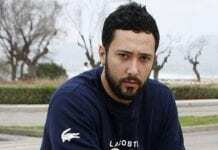 Despite moving to Cadiz to convalesce once more in February 1973, Goya was unable to shake off his symptoms, becoming completely deaf soon after. Friends reported that his deafness caused him to become withdrawn, while his mental health worsened. The mystery illness, whose origins are still not fully understood, also heralded the start of his darker and more pessimistic period, when he became obsessed with depicting insanity and fantastical creatures in his oil paintings and etchings.. Despite his debilitating symptoms, Goya did not die until 1828 at the ripe old age (for those days) of 82. Talking at the latest lecture to be held on Goya’s illness at the University of Maryland in the USA, hearing specialist Ronna Hertzano acknowledged that syphilis could have been one of the causes. She also cited the rare autoimmune disease Susac Syndrome, which impairs brain function, as another possibility. “The question of Goya’s ailment is a fascinating medical mystery,” said Hertzano. She added that Goya may have been able to retain his hearing had he been alive this century, due to the availability of cochlear ear implants.